Microsoft confirms that Surface Dial will work with Surface Pros and Surface Books. Users will be able to use the new Bluetooth device with any Windows 10 PC. The company is working on a firmware update which will enable Surface Book and Surface Pro 4 owners to attach the Surface Dial to their display. This will give Surface pro owner same functionality as the Surface Studio. 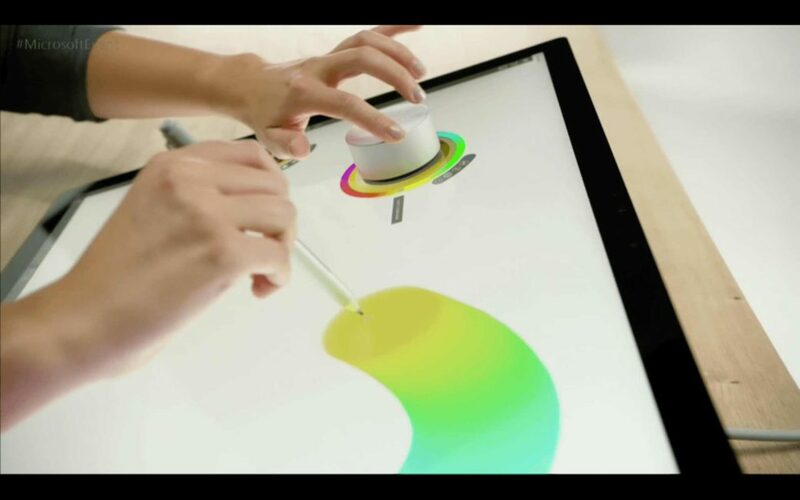 Microsoft Surface Dial is a Bluetooth device which you can attach to the new Surface Studio display to provide contextual radial menus. It feels like a new form of input alongside a stylus, touchscreen, and traditional keyboard / mouse. There’s no word on the firmware update release date.